1. You can go the extra mile for your customers. Give a little extra. Not to gain more followers or adoration, but simply to bless them because you care. 2. When you share your story, be painfully honest. Of course you have to use judgement here, but think about a time someone shared the gut wrenchingly honest truth about something that you could relate to. Didn't you appreciate them for sharing? Didn't you feel less alone in your struggle? Didn't it give you a little hope? You have the same opportunity to encourage someone who feels like they're the only one. 3. Donate your time and/or efforts. You might feel like you're too small to make a big difference. But every little bit helps. You don't have to pioneer a new movement to make a difference. There are so many causes and organizations out there doing good. Choose something you're passionate about and join in the work. You can volunteer your time or make a donation. It doesn't always have to be a monetary donation; I've seen numerous charitable activities where artists and makers can donate an item which is then combined with others and auctioned to raise money for a cause. 4. You can use your platform for promoting social justice or standing for your faith. Realize that not everyone is going to agree with the stance you take, and please be respectful in the way you deliver your message. We don't all have to be on the same page, but we really should be kind. 5. Be ethical in your business decisions. Don't just look for the cheapest ways to do things; think about the best way to do them. Is there another small business you could support by purchasing materials needed to make you product from them? Can you use recycled materials in your packaging and promotional items (business cards, postcards, etc.)? Choose to work with businesses and products that are in line with your values. You have a great opportunity here. You get to call the shots. 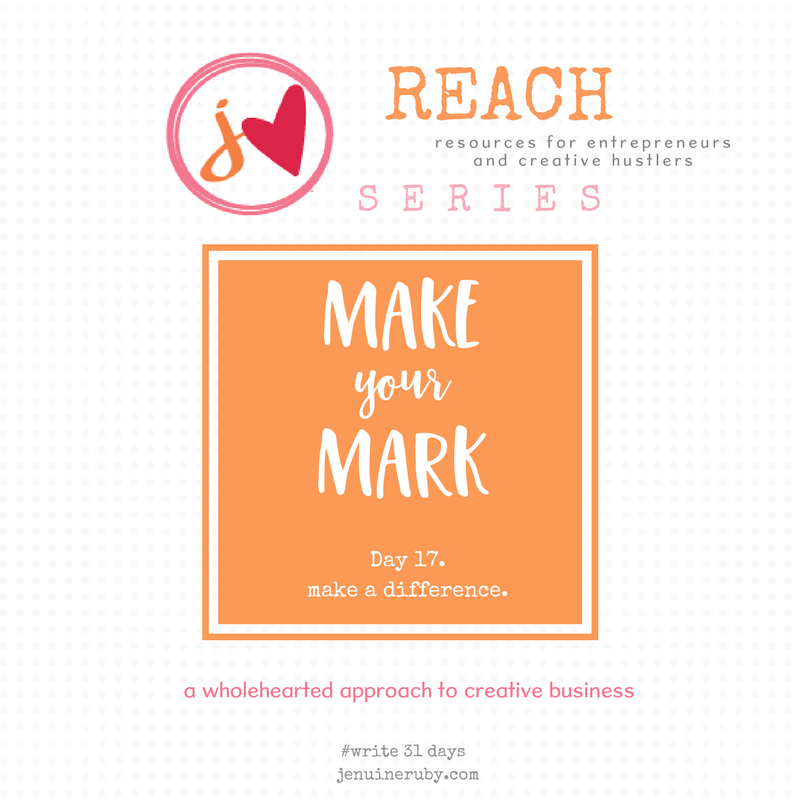 Make a list of specific ways you can make a difference in your wholehearted creative business, and start to research how to incorporate them into your work.